If you’re planning to take a Disney Cruise, there’s a lot to know. I recently spent a week aboard the Disney Magic and have complied a list of 20 Disney Cruise tips you should know before you go. 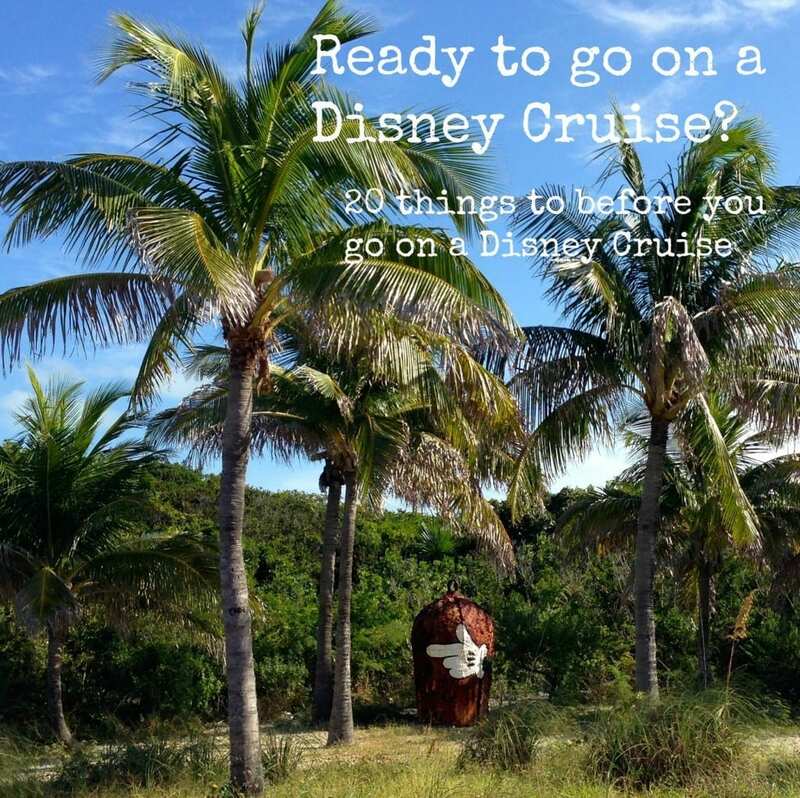 Have you been on a Disney Cruise? Let me know if you have any other Disney Cruise tips to share. When families are sent their documentation from Disney after a cruise is booked you’re repeatedly told (via emails) to register online and do online boarding to expedite the process. Which is why I was so surprised so many people had not done this. Do it. It will save you soooo much time and help skip a few lines. Additionally, register your kids for the kids club online before the cruise. The lines to get this done the first day were crazy long. Your time will be much better spent at the pool. Photographers are set up throughout the boarding terminal to capture your arrival! It shouldn’t be a surprise that Disney has it’s own island, I mean after all it does have its own World. The Disney island, Castaway Cay is located in the Bahamas and if your cruise is going through the area you will be porting there. I wasn’t too sure how much I would like Castaway Cay but in true Disney fashion, it was pretty amazing. In other words, it’s a worth while port. Don’t worry about not seeing your favorite Disney character aboard your Disney Cruise. They’re everywhere and easy to find – especially towards the end of the cruise. Once you’re aboard the cruise you’ll receive a schedule of daily events that notes which characters will be out, where and when so you can manage your character encounters – if needed. The main encounter my girls wanted to attend – and the one we were willing to stand in line for – was to meet all the Disney Princesses. 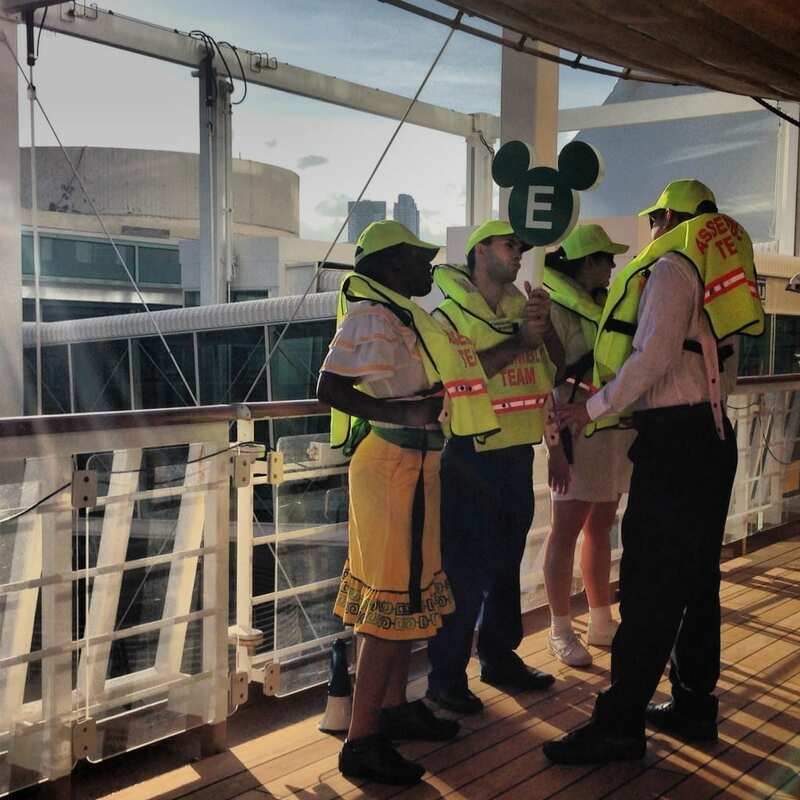 This was an extremely popular event on the Disney Magic so two encounters were scheduled for the week. The great thing about these encounters is that they are very efficient. While you may see the line wrapped around the hall it moves quickly yet each child gets the full attention of the character when it’s their turn to see them. In other words, they’re worth the wait. If you or your kids have a food allergy, the servers on your Disney Cruise take it very seriously. Princess One has a peanut allergy so we’re always forced to check with the wait staff when we go out to make sure her food is peanut free. Before even asking, however, our wait staff asked us about food allergies the table may have. I loved that the head waiter brought Princess One Krispy Cream donuts since she was unable to eat anything off the pastry platter during breakfast. Our dinner wait staff was just as concerned and brought out the wrappers for the Mickey Mouse ice cream bar to have us read the ingredients. Now, this is for the main dining areas. When it comes to the buffet areas you’re taking more of a chance as there is more room for cross contamination. However, I do not recall seeing any dishes aboard that contained peanuts. As for meals and snacks in the Kids Club I did check and they are all peanut free. And any child with a food allergy wears a special red ID on their kids club band to ensure all the staff is aware – just in case. Disney Cruise Line does a great rotational seating program that allows guests to visit all of the restaurants aboard the ship (minus the adult only restaurants). This way you can see and taste all they have to offer. Additionally, your waitstaff goes with you – so they’ll know all your food allergies, favorite drinks, etc. There are two seating times for dinner, typically 5:15pm and 8:15pm. You need to request which seating time you prefer when you schedule your cruise. It’s not guaranteed you will receive your request though – we did not. (We also booked our cruise two months beforehand so we were late to the game.) For us, the late dining option simply didn’t work since the kids were near melt down. After the second night of near disaster, we choose to order room service, which is offered 24 hours a day and included the price of your cruise. There are also other dining options aboard the ship outside of the formal sit down dinners. If you don’t get the dining time you requested you can try to change it once you’re onboard. This is typically done the first day of the cruise when people are getting checked in. It’s worth a shot but don’t get your hopes up. There were more than 100 people on the wait list for the early dining time. We spoke with our head waiter about it as well and he informed us that in Europe it’s the opposite. No one wants the early dining time, they’re all requesting to move to the later slot – even though they think that’s still too early. While there is WiFi available on a Disney Cruise the cost is ridiculously high – 75 cents a minute. The WiFi packages they offer aren’t much better. All the Disney Cruises have an Internet Café for people to connect if they didn’t bring their own devices, but they must still pay the connection fees. As for phone service, it’s the same as WiFi – HIGH, HIGH, HIGH. When you port you can connect to a local network to download and send emails but you’ll be paying roaming fees. Frankly, if you can download your emails quickly, then go offline to respond and then reconnect to send everything you may be better off price wise. However, connecting to a network you don’t know poses security risks. (If you have your own Mifi it works in the ports.) It’s simply best to plan to be disconnected on your Disney Cruise – at least with the outside world. Each stateroom is equipped with two wireless phones – Wave Phones – that families can use to call and text one another while aboard the ship and on Disney’s island, Castaway Cay. This is REALLY helpful if you’re kids are a little older and want to take off on their own – or if you have little ones (with a peanut allergy) in the kids club and want to be able to dash up and get them if need be. If you’re traveling on the Fantasy and Dream you can use the Disney Cruise Line app, the Disney Cruise Line Navigator. The app works onboard and does not require your phone to be roaming; Disney Cruises has a free guest WiFi to power the app. However, the Disney Magic does not have this handy app, so I learned after spending too much time at guest services with a Disney Cruise employee trying to figure out why it wasn’t working. I must admit, I was rather disappointed to not have the app on the Disney Magic. It would have been very useful to have the daily activities in the palm of my hand vs having to carry around the Personal Navigator (a printed guide of the daily activities). Initially, I left the Personal Navigator in the room but found we were missing out on several activities by not checking the schedule throughout the day. For instance, if the kids wanted to go to the kids club it was useful to check and see what activities might be going on at that time, or where the next character sighting was taking place, along with movie times. I was told an app was coming for the Disney Magic so check back if you’re cruising soon. I own several watches but have not worn one in YEARS. Why? My cell phone is always with me, even on vacation. Not for calls but for my camera. So, bringing a watch never even dawned on me. Big mistake as my phone was on Airplane Mode to avoid battery drain and roaming fees, which meant it did not update/change time zones as we traveled across the ocean. To make matters worse, The Husband, who does wear a watch had his break. Lessons learned (again): Do not trust watches that say they’re “water proof”. An automatic 15% gratuity is included in the price of your cruise for bartenders and room service. However, it’s not included for your dining wait staff or stateroom host. You will need to be prepared to tip these folks at the end of your trip, you can do so in cash or add it to your final payment. Safety drills are required for all passengers to attend – even the kids. They take place before the ship leaves port and last only a few minutes. However, depending on which side of the ship you’re on you may be standing in the sun, in close lines with A LOT of other people. Take a bottle of water, sunglasses and do not go early. We arrived 10 minutes early since we were already on that deck and ended up paying for it – crabby kids who were thirsty and tired of standing in the sun. During the safety drill you’ll be asked to stand with your “group” in single file lines. Wanna watch a movie? You’re in luck. Disney has quite a few to choose from and there is always one playing in one of the ships theaters. Many of the movies in the theaters will also be offered in 3D (glasses provided). You can catch most Disney movies on one of the 27 channels on the TVs in your room or outside at the pool. Yes, outside, at the super-sized TV screen. If a new Disney movie is hitting the theaters while you’re cruising, rest assured you will be able to view the flick onboard. That was the case for us. Frozen was released during our cruise and we – along with hundreds of other families – flocked to one of the many show times offered throughout the cruise. If you choose to do any of the excursions Disney offers, which I highly recommend you do, make sure to pay attention to the suggested age a child should be to do the program. 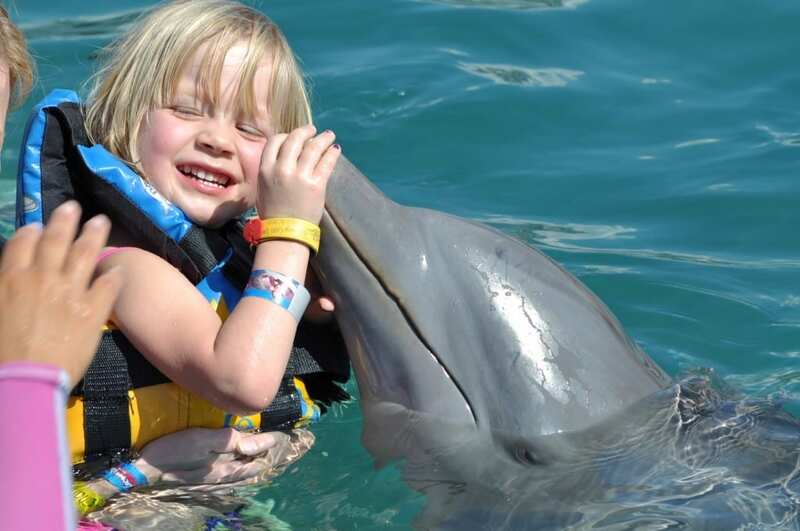 For instance, Princess One is in love with mermaids and dolphins so we took the girls on a dolphin encounter excursion when in Cozumel. The suggested ages were for children who were at least four years old. Both girls made the cut, but it was totally over Princess Two’s head and she got very little from it – other than going back to preschool and telling her friends she kissed a dolphin. I had to chuckle to myself after a mom in the elevator advised me not to take a nine-month old on a tour of the Mayan Ruins as it’s not stroller friendly… She had a pretty hard day with her little one that morning. All I could think was, there’s no way I would even take my four and five year old, on that. If you choose to do any of the excursions Disney offers, which I highly recommend you do, make sure to pay attention to the suggested age a child should be to do the program. In addition to movies galore, every night Disney Cruises offers two live performances. The two shows are the same but offered at separate times to accommodate the dining schedules. I found the shows were both entertaining for adults AND kids, something Disney is a pro at… If you have the chance to see the performance “Dreams”, I highly suggest it. It’s a fun, uplifting show and was voted “The Best Performance” in the cruise industry. You can purchase snacks, drinks and adult beverages to enjoy during the show outside the theater as well as inside from the wait staff taking orders before show time. Or save your money – since you are paying for these items – and bring your own snacks from one of the buffet lines. I’m sure you’ve read – take your camera with you to make sure you capture those ‘magic moments’. And it’s soooo true. You may walking down the hall and run into Goofy or Chip and Dale. Always have your camera with you – if even just your phone camera. I do want to point out that Disney does do a great job at having photographers around the ship to help you capture some of these moments. All scheduled character encounters have photographers there to take photos that you can order later. While this a great option and the photos are good quality, they are pricey. A 5×7 is $12 and an 8×10 is $19. There are packages you can order to cut some of the costs but you can also try to have your camera ready and just order one or two of the professional shots. Rest assured, there are plenty of adult only activities and areas aboard a Disney Cruise. And if your kids are willing to hang out in the kids club or are older and can go explore the ship on their own, you my friend are in vacation heaven. Think adult only pools, restaurants, an Internet Café, a night club and a private beach at the Disney island, Castaway Cay. 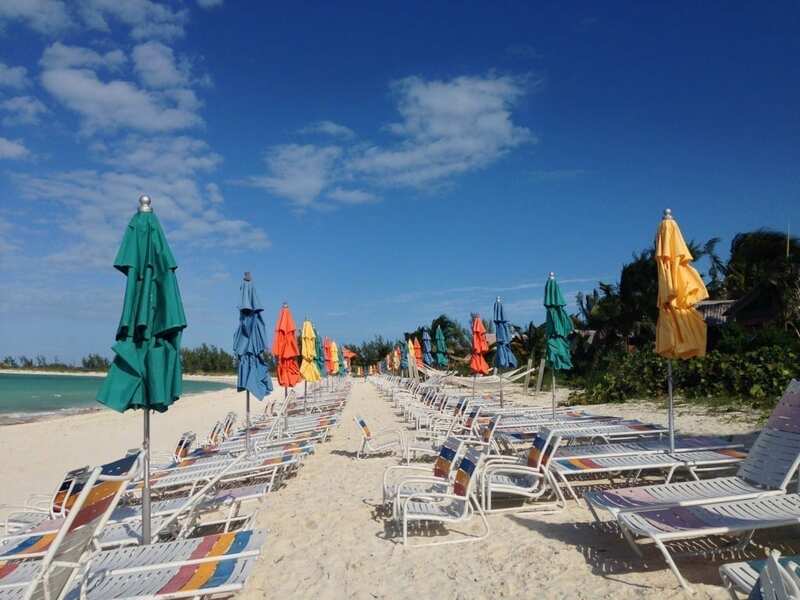 Castaway Cay has an adult only beach. Beautiful and quiet. You sit down with the family and map out all the excursions and activities you plan to do on your Disney Cruise and then it rains. Or you have high winds and the excursions are canceled. It happened to us and it may happen to you so be prepared. You will be reimbursed if your excursion is canceled but you may have some bummed out kids. We weren’t able to do a glass bottom boat ride in Castaway Cay and both my girls were pretty upset they wouldn’t get “to see the fish”. But, having a backup plan for things to do in the cities you port in – the nearest beach, shopping or museums – is good to have in your back pocket. 17. Kids Club – If it’s a fail, try again. I can’t even tell you how excited I was about the kids club Disney Cruises is famous for. I had been dreaming about spending a few hours at the adult only pool with a cocktail in my hand and no one asking me for anything… Which is why I was even more let down when both my kids came back the first day and said, “It’s boring, I don’t want to go back”. WHAAAT!!!! 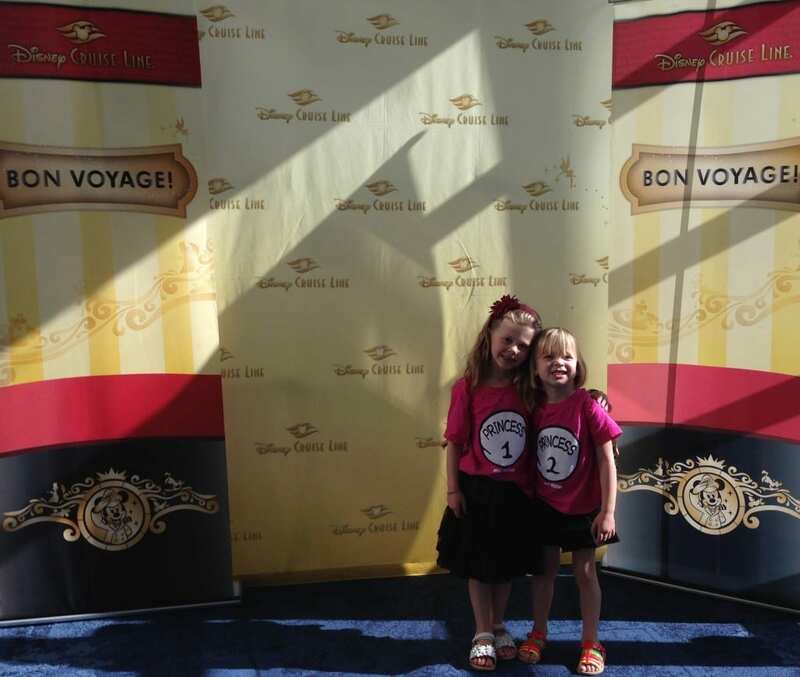 Turns out the first day at sea, which is the day the girls went, was the busiest day the kids club on the Disney Magic has had since the ship was redesigned. In other words, there were too many kids for everyone to play on the slid, play dress up, do video games or simply sit at a table and color. We tried the kids club again on day three and both girls changed their tunes. The kids club became a hit and a place they both wanted to visit for the next few days. Almost more entertaining for them than the pool. Almost. 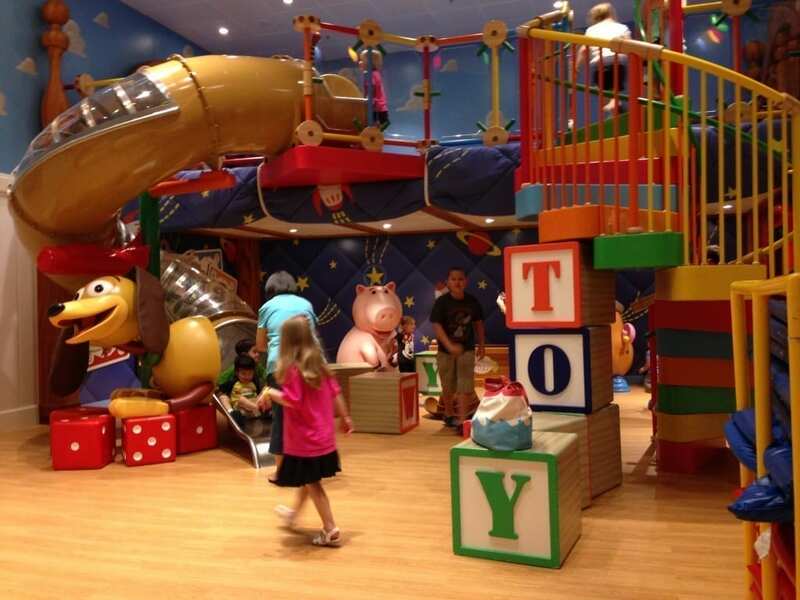 The kids club on the Disney Magic has activities for kids of all ages. From slides to dress up to coloring, movies and video games. I had been a little nervous about the security at the kids club. How did Disney manage who came and got your kids and where they were once inside the kids club? It’s actually quit brilliant and very secure. 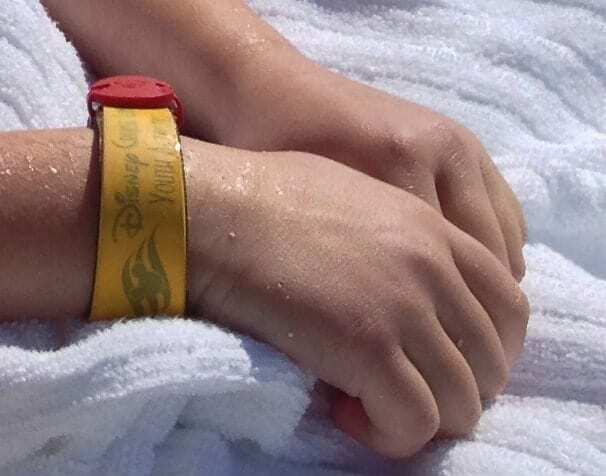 First, each child is given a wrist band when you check-in. This electronic (waterproof) wrist band has a built in GPS that locates the child in the kids club; not only helpful for the counselors but for parents going into the club to pick them up. The wrist band also acts as the child’s personal identifier; when the child comes to the club the band is swiped on a scanner and all the child’s information is pulled up for the counselor to identify them. This “scan” also allows the counselor to then open/close the doors allowing them to enter/exit the play areas. As for picking up your kids, only adults on the kids club registration list can pick them up and you still have to have your Disney ID card and know your personal password. There are only two entrances for the kids club and each is staffed with two to four Disney counselors who manage who enters and exits. Each child registered for the kids program must wear and ID bracelet. And if your child has a food allergy or special need their bands will be tagged with a red tab. Disney offers transportation to and from the airport for an additional fee, but you will need to check to ensure the airport you’re flying in/out of is on their route. For instance, we ported from Miami but flew in/out of Fort Lauderdale, which is not offered as a transportation option by Disney. However, when you exit the cruise terminal in Miami there are a plethora of taxis and Express Shuttles so you can get to where you need to be. It’s wise to check the website of the port your traveling through to get a listing of the taxi services and car services they work with – just to make sure there are several there that can get you to/from your destinations. 20. Disembarkment – It’s not a big deal. The disembarkment process is really quit simple, yet there seems to be a lot of questions around it. So many that Disney has a short video that plays in your stateroom as well as a 30-minute Q&A for guests to attend. (I do see the efficiency in doing this as to avoid guest services being slammed with questions the day before.) Essentially, you can begin getting off the ship around 7am and everyone must be off the ship by 9:30am. With this said, you can’t really just leave when you want. Or rather, you’re not supposed to. Disney has arranged different luggage tags for guests to use on their bags which dictates which group/time you’re asked to leave. Essentially, you’re supposed to pack your luggage outside your room the night before (by 10:30pm), the luggage is sent to the baggage terminal the next morning so you can pick them up after you’ve gotten off the ship. If you choose to keep your bags with you and not go through this process you’re told you have to disembark at 6:50am. HOWEVER, I can’t tell you how many people kept their bags and simply left at their leisure. I hate that I followed the rules and had to wait until the LAST group to be called to leave – does not make running to the airport to catch your flight helpful. Unlike the other mornings when you could visit the buffet lines and grab a few things for a quick breakfast, disembarkment day only serves breakfast in the main dining areas and you have a scheduled seating time; 7:15am, 7:30am, 8:15am and 8:30am. You will also not be able to order any specialty drinks – lattes, adult beverages – this morning either since Disney will have closed your billing account. Have you been on a Disney Cruise? Do you have any Disney Cruise tips to share? Please do so in the comments. wow! lucky you! Going on the Disney cruise is a dream for us at this point. I will certainly bookmark this page for future reference. Thanks! Excellent tips! I might have to try a Disney Cruise someday! Super tips Elaine. Love cruising, visiting all those places and unpacking only once – perfect. Haven’t been on a disney cruise, but I can see it’s ideal for the little ones. It’s great for little ones but also great for the big ones too. There really are a lot of adult activities and with the kids club the kids can go be in kid heaven while you relax pool side (not having to worry about jumping in to retrieve anyone). I love these types of lists. They answer all the little questions. And I care about the little questions! Great post! I had taken my two boys on a Disney cruise and we mostly enjoyed it. I will say that I wish I had taken them a little older as my four year old wouldn’t separate from us and they offered the most wonderful kids club that he wouldn’t do. So, no adult activities for us. Great post and tips! We cruised on the Dream April 2013, 4 nights with our 6 year old and it was amazing! The only difference we actually had breakfast buffet the last day at Cabana’s. He didn’t care for the kids club because he was alone, ended up keeping him with us the whole cruise. This year we are sailing on the Magic alone, the Husband and I. I feel a little guilty but promised to take our 7 yr. old to WDW two weeks later with cousins. I’m excited about getting to enjoy the cruise as adults! Never too old for Disney! 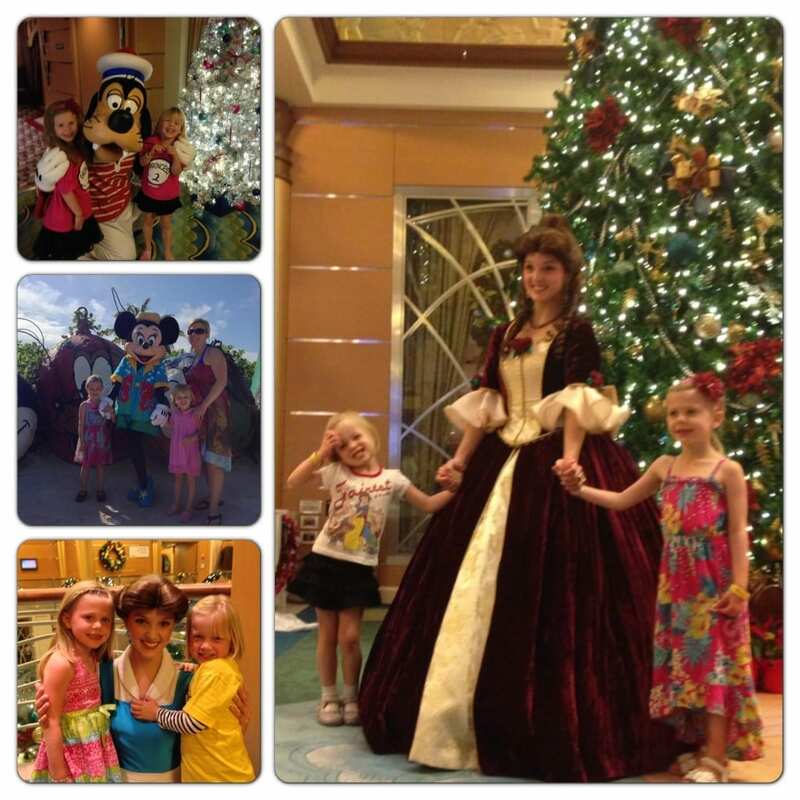 MY FAMILY HAS BEEN ON 14 DISNEY CRUISES, THEY ARE TERRIFIC. 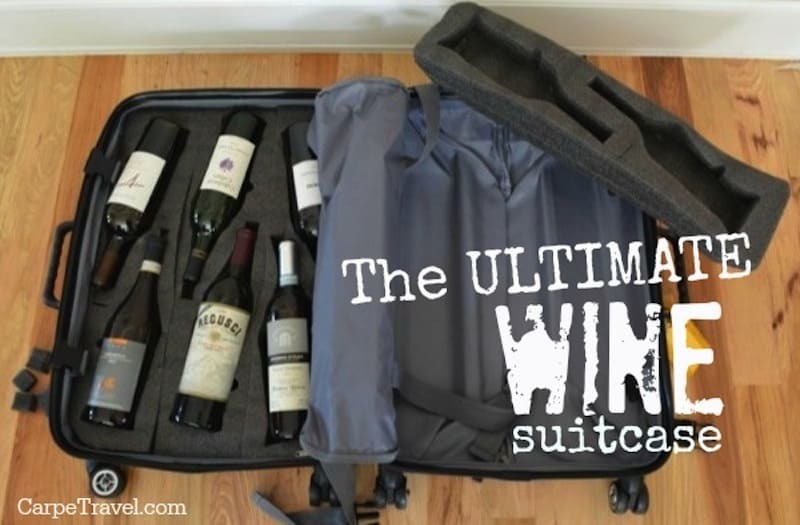 If you drink alcohol, you are allowed one bottle of wine or 750ml of liquor in each carry on bag (NOT in your luggage to avoid the bottle breaking). This will save money on alcohol type drinks since cola, juice, tea, coffee, etc are free on board. I also read that if you buy liquor at a port of call (which is usually cheap), you can drink it on board. You may be confusing Carnival with Disney. There is no specific limit of alcohol (including liquor) unless this has changed in the last couple of months. I carry on two 1.75 liter bottles of vodka (some of it is left at the end of the cruise). Disney has changed their alcohol policy as of Sep 30. No more liquor may be brought aboard. But their policy is still better than Carnival’s. Each adult may take two standard bottles of wine aboard. This applies to all ports, not just embarkation. Free soft drinks, bring liquor onboard, on demand TV on the Fantasy (Dream?). Hello, so I’m reading up on everyone’s tips. But yours stood out to some questions I had so I hope I can hear back from you in time. So, because we just booked this cruise a few weeks ago I could only sign up for 1pm sign in. Can’t remember now if it was your or another post about this but if I arrived way earlier fir sign in, do they still make me wait til my sign in time I registered for? Second, disembarking. I need to catch a 11am flight. No choice. I see you mentioned you can keep your luggage and leave at 6:50am. With the morning process, you also mentioned there are those who took their time. I’m trying to decide if I want to use the Disney Shuttle to the airport. How long was that whole process including waiting on others? For checking out, keep you bags with you to ensure you have them for your flight. You can notify Disney to let them know you have to be with the first group getting off. They should already have your flight info since that’s typically something you give them when you book it. As long as you have your bags, getting off shouldn’t be a problem. I’m not sure about taking the shuttle. It’s best to ask the reservation folks about this. There are plenty of cabs outside so you can always go that route if needed. As for check-in, I’m not sure if they will make you wait. I would assume you could go earlier if you’re there but again, you should ask the reservation at Disney. Sorry I don’t have all the answers you’re looking for. We cruised on the Fantasey and had a Magical Time. Most people think that Disney is for kids, well we felt like kids and everything was like living a Fantasey! The dining staff that followed us was the Best! We’re going again this fall. Yes, Disney sure does know how to do it up for kids and adults. Enjoy your next cruise and let me know if you learn any other tips that should be added to this list. Thanks! What a great list of tips! I’m going on my fourth Disney cruise in November!! Along with all the movies playing in theaters/ on deck, every single Disney owned movie (including Star Wars and marvel) are free on your stateroom tv. All you have to do is press the menu button on the remote and you can watch any Disney movie at any time. It’s great for putting the kids to bed! Totally agree! And, if there is a new movie out they show it in the theater on-board. We saw Frozen the weekend it came out on one of our Disney cruises. I’m so glad I found this blog. Its really helpful!! I’m going on my 1st Disney cruise in 35 days…. I’m in heaven just reading everything I can find. So, thank you so much for your information! I have to tell you that my maiden name is Schoch!!!! How cool!